UNITED NATIONS -- The U.N. Security Council on Tuesday strongly condemned North Korea’s latest ballistic missile launches and threatened “further significant measures” if it refuses to stop its nuclear and missile tests. The U.N.’s most powerful body agreed to the statement hours after a closed-door emergency meeting called by the United States, Japan and South Korea in response to North Korea’s firing of three missiles Monday that traveled about 620 miles and landed near Japan. The council gave no indication of what “further significant measures” it might take if North Korea continues conducting tests and trying to enhance its nuclear capabilities. The U.S., Japan and South Korea made clear after the council meeting that they want further action, but also didn’t specify what. The press statement urged all U.N. member states “to redouble their efforts” to implement sanctions against Pyongyang, including the toughest measures in two decades imposed by the council in March. Those sanctions reflected growing anger at Pyongyang’s nuclear test in January and a subsequent rocket launch. 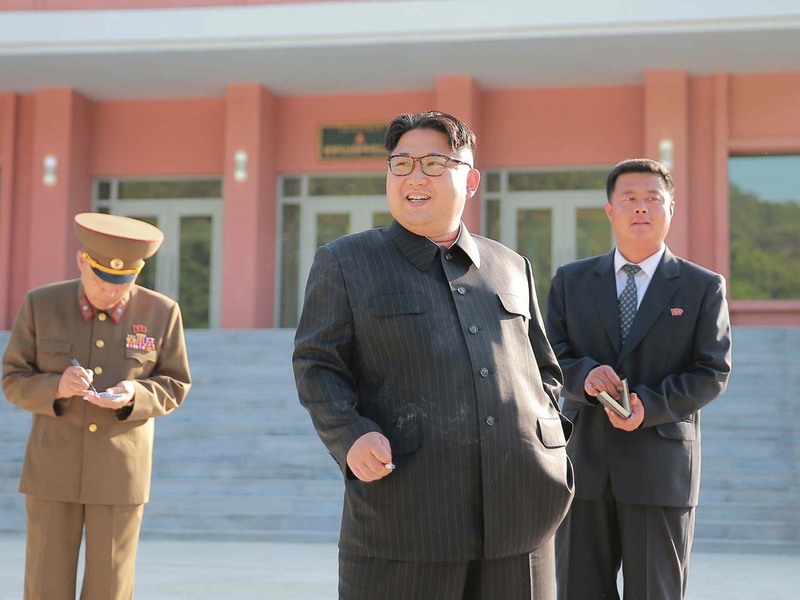 The council expressed serious concern that North Korea carried out the latest launches “in flagrant disregard” of its demands. This once again showed the North’s “blatant disregard” for U.N. sanctions and its international obligations “and its willingness to provoke and to threaten the international community with impunity,” Power said. The tests not only threaten Japan’s national security but the region and beyond, he said, stressing that the missiles were launched without any prior notification and could have hit planes or ships. What action the council takes remains to be seen and a lot depends on China, the North’s neighbor and only major ally, though ties have frayed over the nuclear and missile tests and what many outsiders see as other provocations in recent years. China’s U.N. Ambassador Liu Jieyi was confident from early morning Tuesday that the Security Council would pass a strong statement. Asked if the missile launches, which took place during the G-20 meeting in China, were a particularly aggressive message to Beijing, he told CBS News’ Pamela Falk, “they certainly were,” adding that the Council would respond promptly this time. Enforcement of the existing U.N. resolution that has biting sanctions is what the U.S., Japan, and South Korea feel is needed, Falk reported from the U.N., adding that the reason for a swift non-enforceable press statement is to show North Korea that China is on board and angry about the continued launches. Power said “there were very strong and numerous voices in the room for doing more” than another condemnation. “So without getting ahead of the council we were also interested in increasing the consequences after this pattern of using these launches to advance the capabilities of the program,” she said.